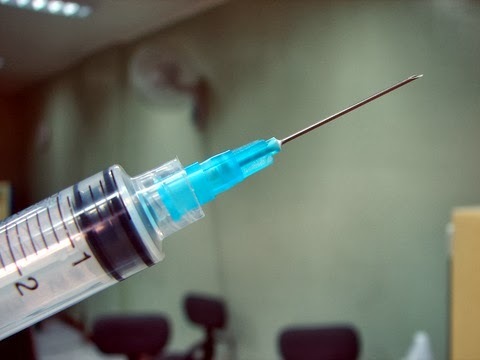 David Kwiatkowski plead guilty to infecting 46 people with Hepatitis C after they were administered shots using syringes tainted with his blood. A federal judge sentenced a hospital technician to 39 years in prison Monday, The Boston Globe reports, after he pleaded guilty to infecting 46 people with hepatitis C, a blood-borne virus that damages the liver. (such as saline), which is then injected into the patient." Kwiatkowski reportedly stole syringes filled with the anesthetic Fentanyl and, to avoid getting caught, rotated in syringes he had used filled with saline. Patients who were administered those "dummy" syringes were infected with his tainted blood. Kwiatkowski pleaded guilty to 16 federal charges in August, and told investigators he has been stealing drugs since 2002. The plea agreement reduced the prison sentence to at least 30 years instead of nearly 100 if convicted in a trial, CBS News reported. Kwiatkowski worked at 20 hospitals in eight states, the Globe reports, before being arrested as the source of a hepatitis C outbreak involving at least, 30 individuals at New Hampshire's Exeter Hospital in 2012. Noticing a spike in patients contracting the viral infection, health officials found that the patients and Kwiatkowski shared the same strain of hepatitis C.